Joy Harjo is a “poet-healer-philosopher-saxophonist,” and one of the most powerful Native American voices of her generation. She has spent the past two decades exploring her place in poetry, music, dance/performance, and art. 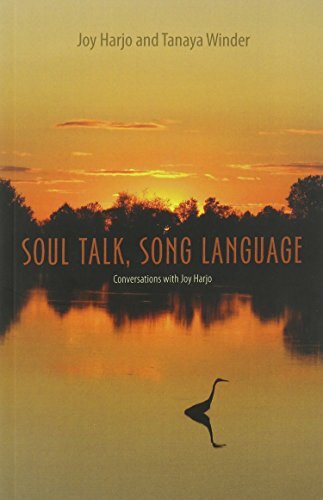 Soul Talk, Song Language gathers together in one complete collection many of these explorations and conversations. Through an eclectic assortment of media, including personal essays, interviews, and newspaper columns, Harjo reflects upon the nuances and development of her art, the importance of her origins, and the arduous reconstructions of the tribal past, as well as the dramatic confrontation between Native American and Anglo civilizations. Harjo takes us on a journey into her identity as a woman and an artist, poised between poetry and music, encompassing tribal heritage and reassessments and comparisons with the American cultural patrimony. She presents herself in an exquisitely literary context that is rooted in ritual and ceremony and veers over the edge where language becomes music. If you have any questions about this product by Wesleyan, contact us by completing and submitting the form below. If you are looking for a specif part number, please include it with your message.